Righty oh. Like many Killing Joke fans, I have pledged for Jaz Coleman’s auto-biography – “Letters From Cythera”. I received an email update recently and just thought I’d share (as our colonial cousins often say. Well, on the TV anyway). 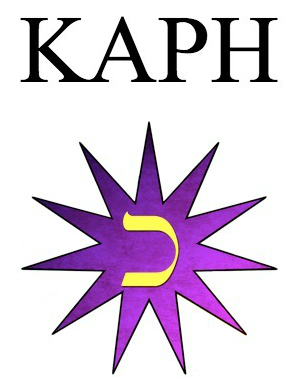 Below, an explanation of the geometrical expression of the eleven dimensional Qabalah (the Enkegram of Kaph) – from Letters from Cythera. J, the conventional tree: Correspondingly, J, the 10th letter of the alphabet, is the preferred emblem to symbolize the old aeon, ‘orthodox’ Qabalah, consisting of the ten sephiroths or fruits of the tree. J: It is possible to express the same phenomenon in left of cerebral hemisphere language via the principles of quantum mechanics. According to conventional string theory, space has ten dimensions, however Edward Witten’s M theory alternatively proposes eleven dimensions, which share almost identical characteristics. The M stands for magick, mystery or matrix according to taste (E. Witten). In 1994, Edward Witten outlined the following relationship: The Type IIA super gravity (corresponding to the heterotic SO (32) and Type IIa string theories) can be obtained by dimensional reduction from the single unique eleven-dimensional super gravity theory. This means that if one studied super gravity on an eleven-dimensional space-time that looks like the product of a ten-dimensional space-time with another very small one-dimensional manifold, one gets the Type IIA super gravity theory. In short, whether we favour the mystical or empirical, either way an 11th manifold or 11th sephiroth functions as a doorway to a multidimensional reality. There is clearly a schism on this matter within the occult schools of today while it should be remembered that projecting a Manichean duality or Judeo-Christian concept of morality on the 11th non-sephiroth Daath only obscures our understanding of this phenomenon. Nevertheless, irrespective of the fact that we all live much longer lives (due to the Uranian influence on science), it is worth mentioning that certain initiates have described the geometrical expression of the number 11 (in operative terms) as ‘Qlippothic’ yet this is precisely what the Chartres labyrinth is, as we shall see later (not to mention the 11-circuit Maltese design labyrinth at Amiens cathedral, France and the Church of the Good Shepherd in Florida). The real danger lies in ignoring the nature of the Daathian (or 11th-dimensional) phenomena.